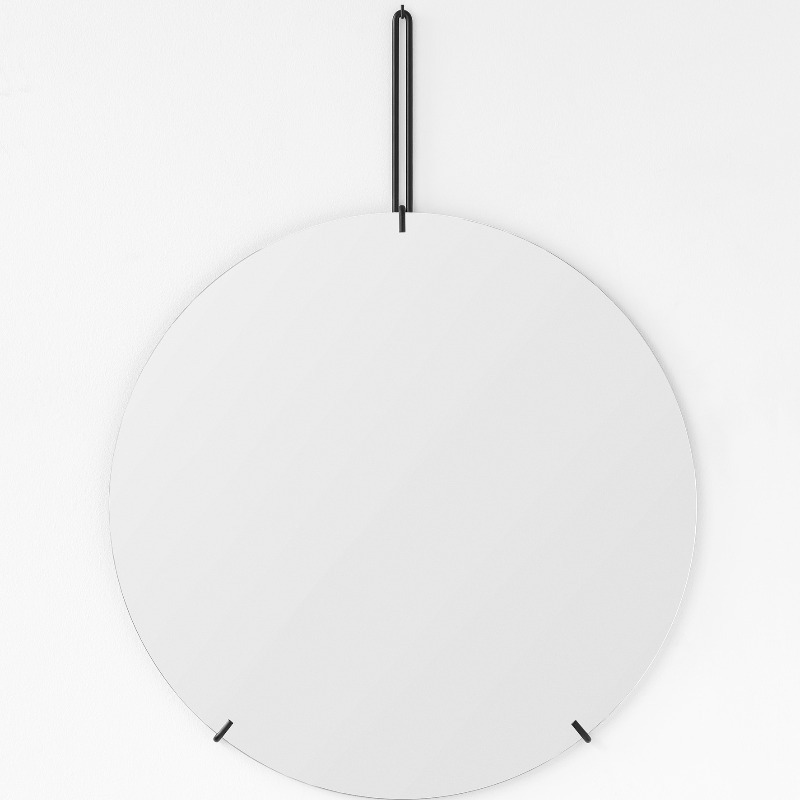 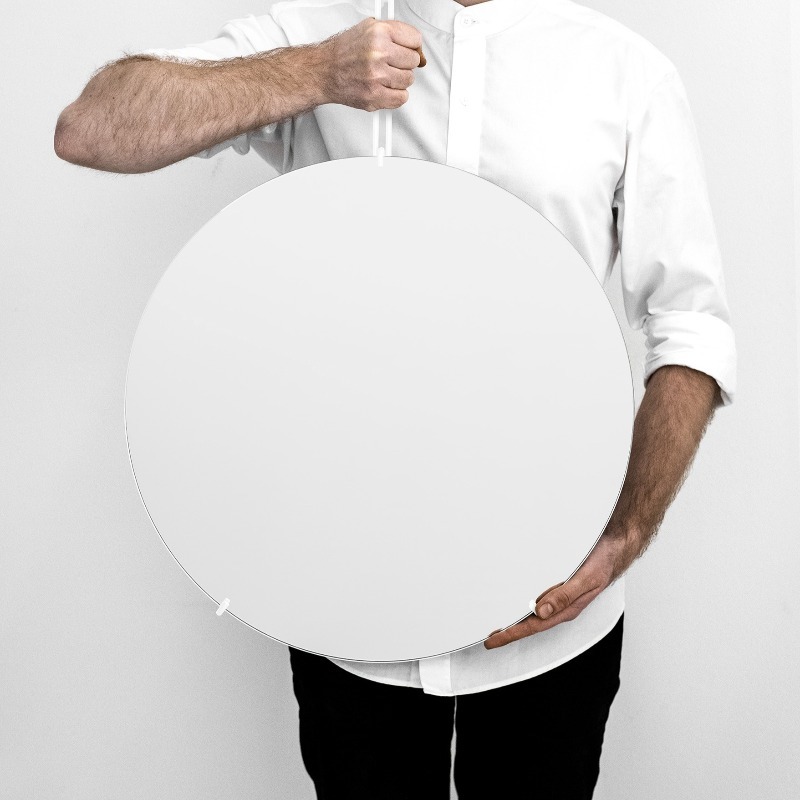 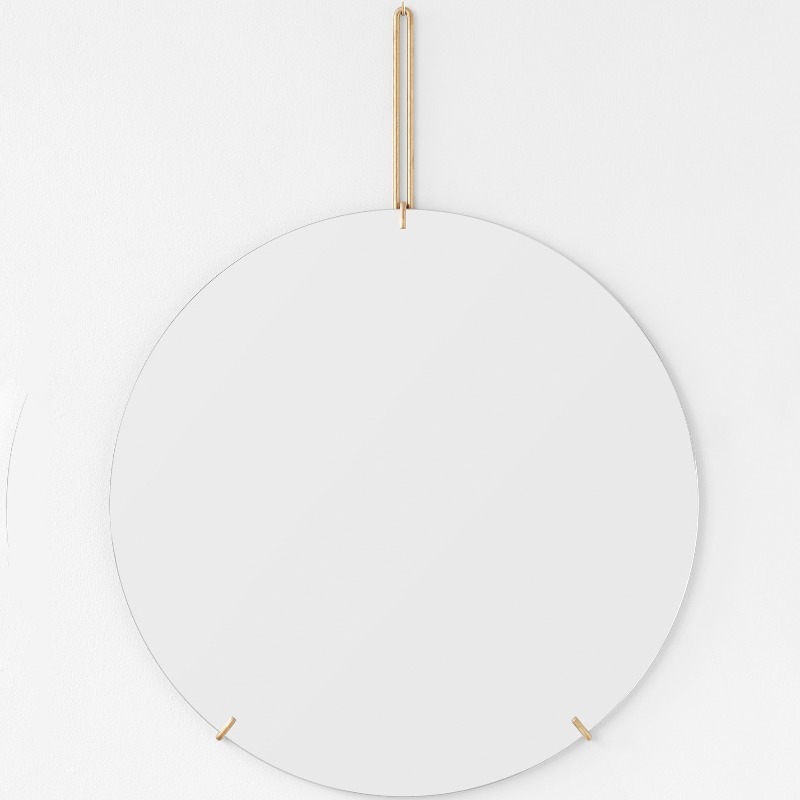 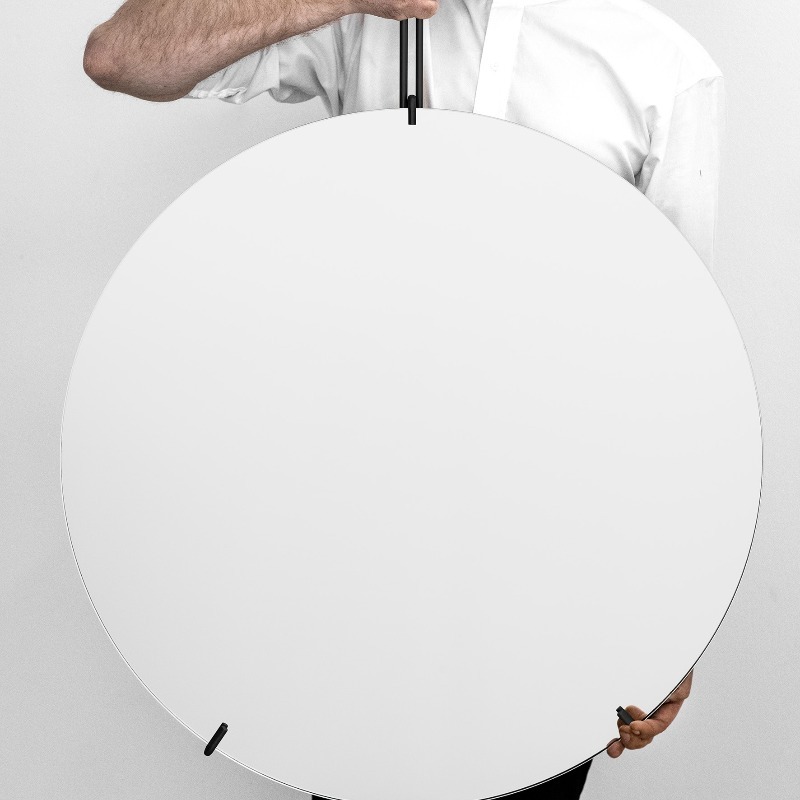 This contemporary wall mirror is designed by the Danish company Moebe. 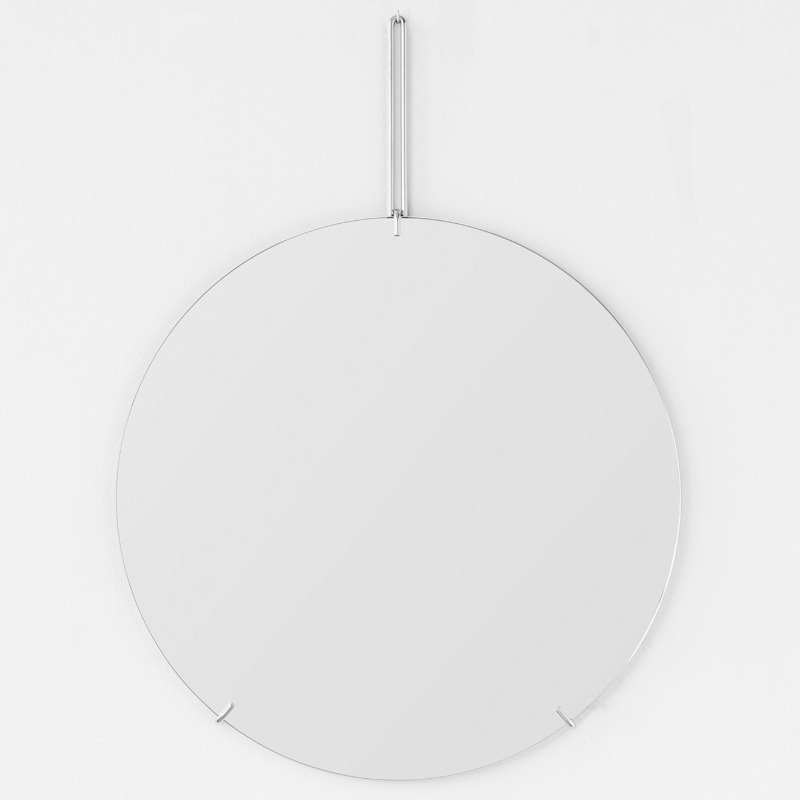 The wall hanging mirror has been formed from a single piece of glass and is held by a lightweight metal wire. 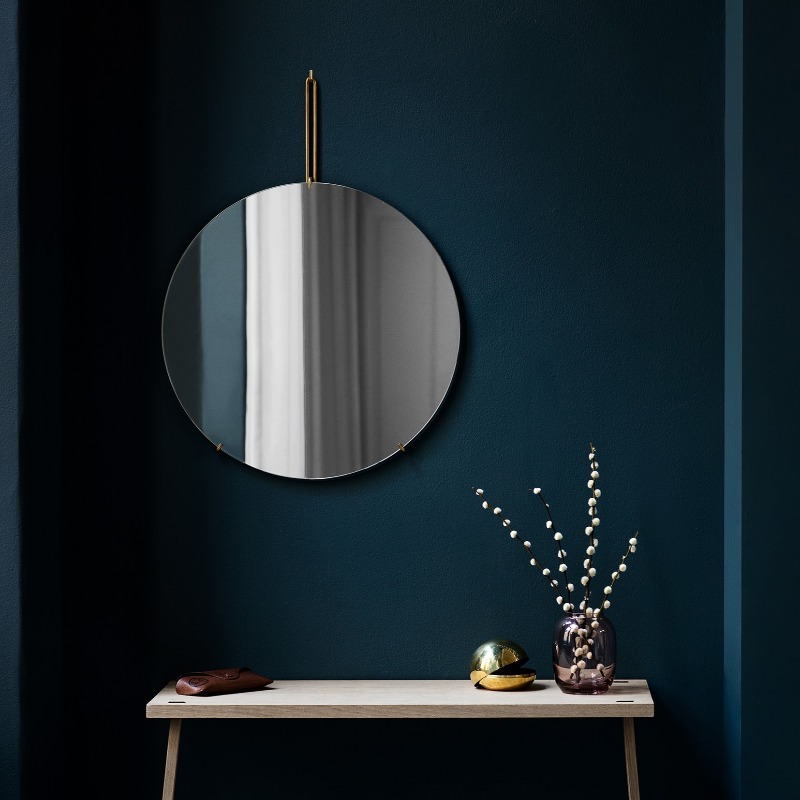 Material: Mirror glass and powder coloured steel.